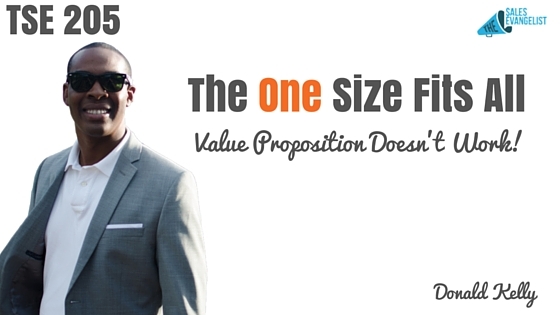 TSE 205: The One Size Fits All Value Proposition Doesn’t Work! Home » TSE Podcast Post Page » TSE 205: The One Size Fits All Value Proposition Doesn’t Work! 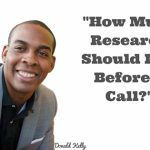 One of the biggest issues salespeople and entrepreneurs face with value propositions is the fact that they don’t know what it is. 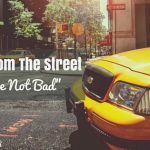 Many times, they mix up a value proposition and a quick 30-second message expressing what you do. Worst of all, sometimes they offer a one size fits all value proposition that may not be most effective to the potential client. Your quick 30-second message tells people what you do, who you do it for and how you do it. For instance, “I work with mid-size HVAC CEO who’s frustrated with slow months revenue, they are concerned that their techs are leaving money on the table and they’re overwhelmed running the business. They don’t have the time or know how to train their staff”. What is this saying? Well, it’s quite simple. Value varies based on the customer and you can’t cookie cutter it. You can have a clear message of what you do and how you help others. It could ignite some kind of interest by the customer, but it may not be the only thing that will close the sales. You will need to propose some kind of value. That’s where your “value proposition” comes in place. So how do you find the value the customer needs? That knowledge will come from learning about the customer and understanding what they need or want. In my experience, the most focused your value proposition is to your prospect, the better you are at securing movement and conversion. According to Jill Konrath, “A value proposition is a clear statement of the tangible results a customer gets from using your products or services. It’s outcome focuses and stresses the business value of your offering.” I feel that a 30 second message speaks to the “what you do, who you do it for and sometimes how.” A value proposition, on the other hand, speaks to “WHY” it matters to the prospect and specifically how you can help. With a value position like this, you come off more professional. You don’t sound like the typical seller. It shows you know my business very well and thus it is valuable to me. Why? Because as the executive, I’m concerned about making more money and you just proposed a way I can do so. Again, that’s value and you have my attention. Now that you’ve learned these things, it becomes your responsibility to implement them. Take a few minutes to write out your quick 30-second message and also to start crafting an effective value proposition. Again, the more you know about the customer, the better off you’ll be to giving a killer proposition. I hope that this help you. If you need some help crafting your value proposition, feel free to take advantage of a free 30-minute coaching session with me and I would be more than willing to spend some time with you. As always, I want you to be successful, most importantly, I want you to go out and DO BIG THINGS!!! 30 second message, Elevator Pitch, Value, Value Prositoin, What do you do?